Yes, you do have some. Even if you have never cared about pensions in the past, and even if you are not interested now, you have a responsibility to look after your own financial future. 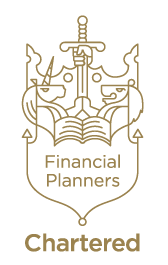 BBi Financial Planning are experts in providing bespoke personal financial advice, but we can’t advise everyone. If we could, we would tell everyone to start by making a budget and planning for the future. Auto enrolment is your opportunity to plan for your future. We understand that many people find pensions boring, but pensions are the most tax-efficient way to save for your future. (We understand that the phrase ‘tax-efficient’ is not going to have you dancing in the streets either). The new auto enrolment rules mean that for the first time your employer is required by law to contribute to a pension scheme that you will own. If you are automatically enrolled you have the right to opt out and get your money back (if you act quickly enough) but you should make sure you consider your choice carefully. If you’re not going to look out for your own future, who is?